Despite a dearth of scientific evidence that it has any curative powers, rhino horn commands astronomical prices of about $60,000 (57,000 euros) per kilo (2.2 pounds)—more than gold or cocaine. One horn can weigh four kilos—comprised exclusively of keratin, the same substance in human hair and fingernails. Wild rhino numbers are plummeting. About 1,400 are killed every year, out of an estimated population of 25,000—mainly in South Africa but also in Asia and India. 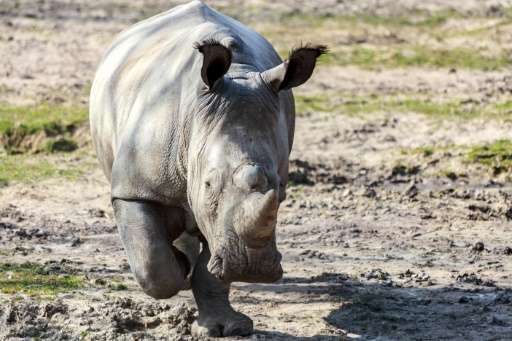 There are about 160 rhinos in European zoos—a potential goldmine for horn smugglers. Another worrying development is a rise in the theft of live animals from European zoos in the last 15 years— anything from monkeys and flamingos and penguins, according to Robin des Bois spokeswoman Charlotte Nithart.